Designed with built-in security for problem-free sanitization of the entire storage and distribution system. Sanitary 316 SS Centrifugal pump by Fristam. 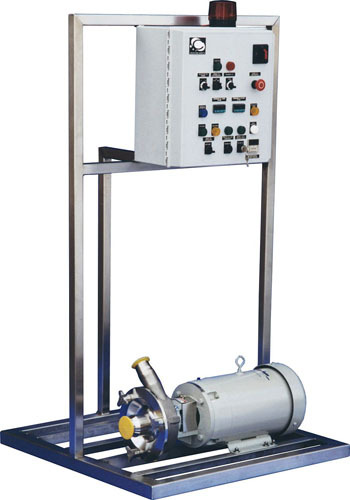 Designed for dependable, clean and simple operation, the CWDPC-750 H is the heart of a USP purified water distribution system. Utilizing only components of the finest quality and built on a stainless steel structure for lasting durability this unit is custom built for each application.